Pottstown, PA – Applications are now being accepted for three free spring programs for kids and teens at ArtFusion 19464. These programs are generously sponsored by The Greater Pottstown Foundation. In Art Academy, students ages 8 to 12 will explore different mediums from drawing to recycled art. Clay Academy gives each 8 to 12 year old student the opportunity to create pottery using hand-building and wheel-throwing techniques. 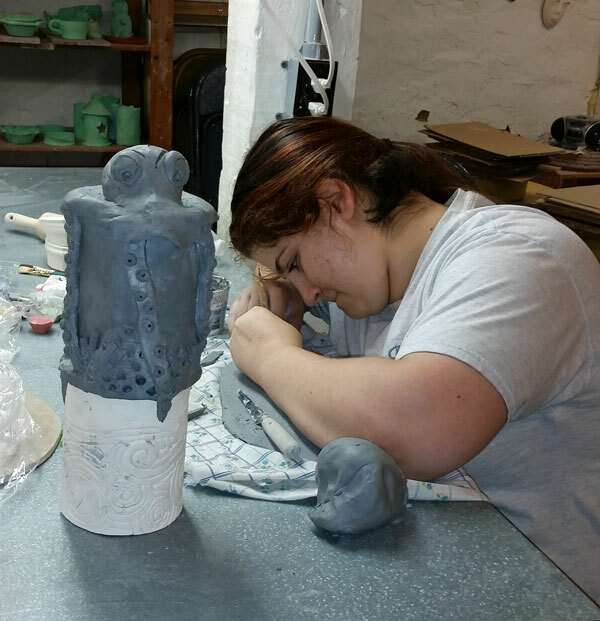 Older students ages 13 to 17 can participate in Teen Clay Studio. 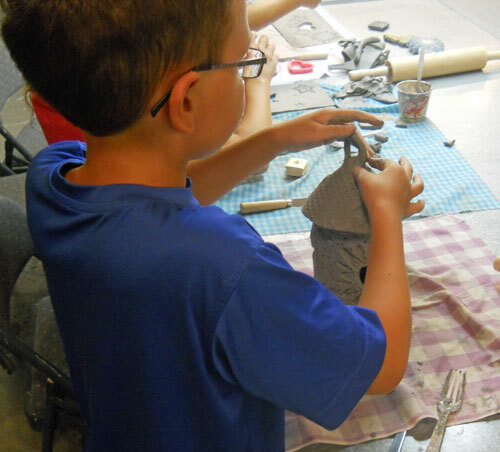 This programs gives each student the opportunity to design and create amazing self-directed projects in clay. The application deadline for these programs is February 17, 2017. Applications can be downloaded at artfusion19464.org/classes/scholarshipsprograms/. Interested parents can also stop by 254 E. High St. to pick up a paper copy. Spaces will be filled on a first come, first served basis. While ArtFusion 19464 encourages everyone who is interested to apply, those students who qualify for free or reduced lunch and those who have not attended a free program at ArtFusion 19464 before will be given priority. 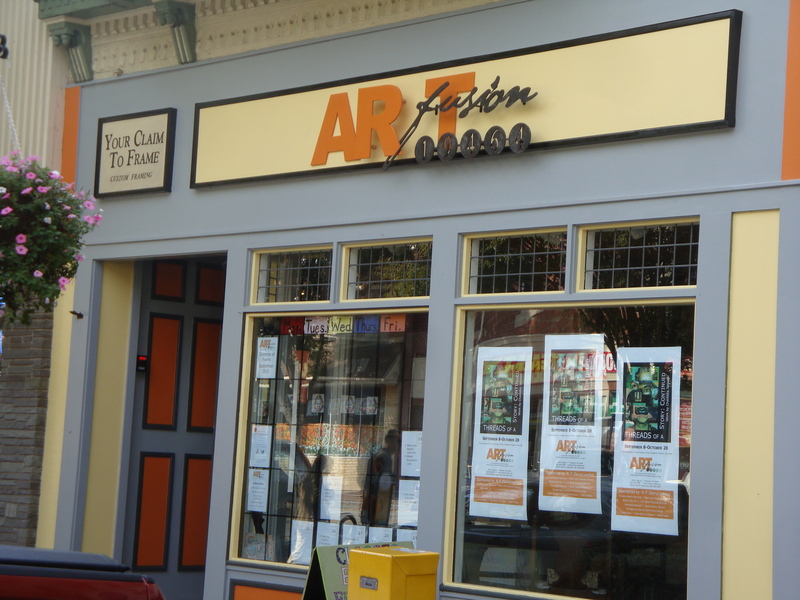 ArtFusion 19464 is a 501(c)3 non-profit community art center located at 254 E. High St. in downtown Pottstown. The school offers day, evening and weekend classes to all ages. The goal of these classes is to help students develop their creative skills through self-expression and independence. ArtFusion 19464’s gallery hosts rotating shows featuring local artists. 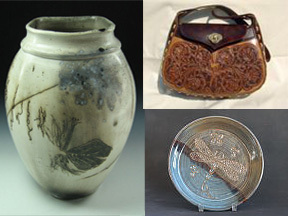 The gallery also sells handcrafted, one-of-a-kind gift items. The gallery is open Wednesday through Friday from 10 am-5 pm and Saturday 10 am-3 pm. Classes do run outside of gallery hours. You are cordially invited to visit the artists in their studios, and see works in progress, demonstrations, talk with the artists and buy directly from the creators themselves. Included will be pottery, fused glass, carved and turned wood, hand hammered aluminum, basketry, porcelain, hand-painted silk, jewelry, stained glass, mosaics, hand knitting, hand weaving, and sculpture in various media. Begin your holiday shopping and purchase that unique, hand crafted gift that will be cherished for years to come. Want a taste of throwing on the wheel without signing up a multi-week class? Try this mini 2-day workshop! Your first day will be spent learning how to throw clay on the wheel. A few weeks later, in your second class, you will glaze your creation, making them beautiful and food safe. Class size will be limited based on the availability of the wheels. SUMMER SESSION: Friday, July 24 from 10:30 am-noon for your wheel class. All students will come back on Friday, August 14 from 10:30-11:30 am to glaze their work. $40 (member), $45 (non-member). Tuition covers one adult and one child. Each additional child or adult is only $20. PLEASE NOTE: There is room for 2 parent/child pairs on 7/24. Click here to go to the ArtFusion website. Purchase that unique, hand crafted gift that will be cherished for years to come. Studios open 10am. to 5pm. Meet the artists. Choose from fibers, glass, leather, jewelry, pottery, wood and mosaic. Enjoy the tour and find the perfect gifts for impressing friends and family this Holiday!! Experience the joy of holiday shopping! for studio directions and details. NORRISTOWN – The mission statement of the ACPPA Community Art Center has not changed since 2004, when the doors first opened, but over the years, Executive Director Amy Grebe has changed the way she interprets it. After taking a breath, she explained with a smile that while her goal remains the same, exposing children to the arts. She prefers now to focus on the creative process, rather than the final product. She also provides after school snacks, donated by the Archdiocese of Philadelphia.